Employers need to plan for an ageing workforce where absences will be longer and employees may need to change their duties and responsibilities, argues David Hope. The UK’s population is steadily getting older, and with this our workforce is ageing. In 2014, the average working age rose beyond 40 for the first time ever. It is now estimated that around a seventh of the total population will be over 75 by 2040. By 2024, it is predicted that one in three workers will be over 50. Data from absence management specialist FirstCare shows there has been a significant growth in the number of over-55s in work, with a 30% rise in 55-59-year-olds working between 2009 and 2016, and a 49% rise among the 60-64 age demographic for this same period. This is a trend many have long foreseen. But the reality is society is badly prepared. The current crisis in adult social care is just one example of the pressures we are facing. For businesses, the challenge is massive, but the opportunity to benefit from a diverse range of skills and experience among older talent is also huge. Employers are dealing with a workforce that is markedly different to just a decade ago, which will continue to evolve, and there is a need for many to catch up with this new reality. One massive issue is absence among older workers. The UK is experiencing a resurgence in workplace absence and with it millions of days lost since 2011. This is a big problem for business. FirstCare recently commissioned the Centre for Economic and Business Research (CEBR) to analyse our data on absence trends – which covers 192,000 people in the UK – and scale this up to reflect the broader UK population. We issued the “Change at Work” report, which found that workplace absence costs the UK a staggering £18 billion per year in lost productivity. A workforce with a higher-than-average number of older people often finds that absences tend to stretch over a longer period, and staff begin to need to change or restrict their duties and responsibilities in one way or another. There has been a marked increase in the prevalence of musculoskeletal injuries and long-term absences caused by a need for surgery. Days lost to musculoskeletal injuries increased by 20% between 2009 and 2015, with workers over 50 accounting for 44% of those absences in 2016. Between 2009 and 2016, time off to recover from surgery rose from 0.63 days to 0.84 days per employee. For an organisation of 1,000 people, this translates to 630 days of lost productivity a year. These trends are only set to rise as the retirement age increases. Linked to this is a rising demand for part-time work. We have data to show that there are more people working part-time now than in the past – with a 19% increase in part-time working from 2009-11. This is driven by various motivations, including an older workforce looking to ease their transition into retirement. Yet, the challenge for employers is not just one of managing older workers, but a workforce whose age range is widening. As people work beyond the traditional retirement age, and the attitudes of their children and grandchildren change, employers are faced with a workforce that is increasingly diverse in its needs, expectations and prevailing attitudes towards work. With a diverse workforce there is chance to maximise a range of skills and talents, and to keep and retain experience for longer. 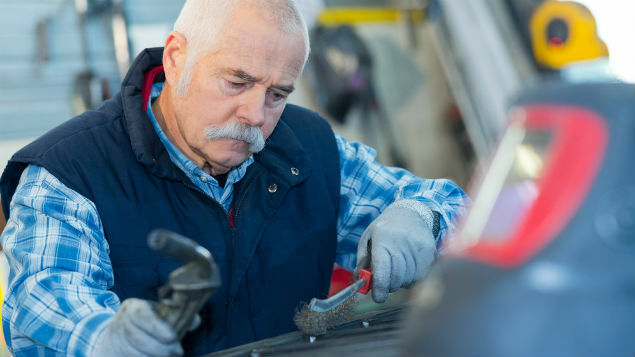 Forward-thinking firms such as The Co-op, Boots and Barclays are leading the way with the introduction of “silver quotas”, as part of a Government initiative to secure an extra one million roles for older UK workers over the next five years. These initiatives are hugely promising. However, there is a real need to tackle the structural and cultural issues head on. Businesses need to take a forward-thinking and flexible approach. For both millennials seeking more control over their working hours, and older workers, whose time needs to be carefully managed to support their extended career, there are many advantages to a more flexible approach. Flexible arrangements – enabled by technology – are helping people return to work gradually and happily after a prolonged absence. This needs to become the norm in all large firms. 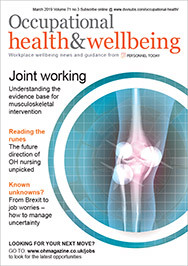 Creating an environment where people of all ages are encouraged to be open and honest about health conditions that affect them at work, without stigma, is crucial. This can really help to prevent problems and enable solutions – often simple adjustment to duties and responsibilities to accommodate health conditions can go a long way. This flexibility needs to be reflected in an organisation’s wellbeing and benefits strategy. Older workers sometimes have fewer financial restraints than younger age groups, but may place higher value on work-life balance, so their packages can be tailored to this, with more options for unpaid leave, for example. Finally, data must be at the heart of how employers are responding to the challenges of an ageing workforce. Only by understanding the demographics of your workforce and monitoring and managing absence, and the reasons for it, can employers understand what is happening within their workforce. Supported by the facts, employers seize the opportunity to harness data and technology to create the conditions for a happier, healthier and more productive workforce for the long term. David Hope is CEO of absence management specialist FirstCare.